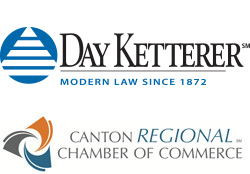 About the Scholarship: The Law Firm of Day Ketterer has established an annual scholarship to be awarded at the Canton Regional Chamber’s Business Excellence Awards. The scholarship is designed to acknowledge the important role business plays in the community and the nation. It is also intended to encourage students to advance their business and leadership skills, with the goal of contributing to the local business community upon graduation from college. Candidate must be available to attend the Canton Regional Chamber of Commerce’s Business Excellence Awards on Tuesday, May 7, 2019. The application deadline was 12:00 p.m. EST, Friday, March 15, 2019. The winner will be notified on, or before, April 12, 2019. The winner, and a parent or guardian, will attend the Canton Regional Chamber’s Business Excellence Award dinner on May 7 as Day Ketterer’s guests. During the dinner and awards banquet, the scholarship winner will be formally announced. Contact Jennifer Novotny with any questions regarding the scholarship at jnovotny@dayketterer.com or 330.458.2034. Day Ketterer Ltd. serves clients across Ohio with locations in Canton, Hudson, Toledo, and Youngstown. The Firm has a proud history of being one of the oldest firms in Ohio. Its practice areas include Bankruptcy and Corporate Restructuring Law; Banking Law; Business Law; Education Law; Environmental Law; Estate Planning; Probate & Trust Administration; Family Law; Labor and Employment; Litigation; Health Care Law; Non-Profit and Foundations; Oil and Gas; Real Estate; Taxation; and Workers’ Compensation. Learn more about Day Ketterer’s attorneys, services, and history by visiting www.dayketterer.com or calling 330.455.0173.